In his latest treatise, Pope Benedict XVI reverts to medieval teaching. Hard on the heels of the recent Vatican statement declaring that the Jews have no scriptural claim to the Promised Land comes another papal shocker. It is contained in the pope’s most recent “apostolic exhortation,” Verbum Domini (“The Word of the Lord”), issued on November 11. In this lengthy “exhortation,” the pope “has issued a lofty and impassioned plea for everyone in the church to rediscover the Bible” (cna/ewtn News, November 11). But it’s more than an “impassioned plea” from this pope to his parishioners. It’s a direct attack on all who believe the inerrancy of the literal Scriptures as inspired by God! 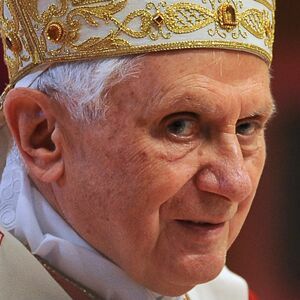 In direct relation to the study of the Bible, Pope Benedict has “criticized ‘fundamentalist’ or ‘literalist’ interpretations and urged renewed appreciation for the symbolic and spiritual interpretation techniques used by the ancient fathers of the church” (ibid., emphasis mine). This latest declaration by the pope tracks right back to his double endorsement of the claim that the Roman Catholic Church is the only true church. At the time that the pope made that startling claim, Fox News, among other sources, reported, “For the second time in a week, Pope Benedict xvi has corrected what he says are erroneous interpretations of the Second Vatican Council, reasserting the primacy of the Roman Catholic Church and saying other Christian communities were either defective or not true churches” (July 10, 2007). Thus, having declared all Christian denominations other than Roman Catholicism illegitimate, having endorsed recently a Vatican statement that the Jews have no valid scriptural claim to the Promised Land, the pope now has reasserted the medieval stance that only the interpretation of Scripture by the Roman Catholic Church has authenticity. That is a blatant papal lie that the very Scriptures themselves oppose! Your Bible clearly declares, first and foremost, that “no prophecy of the scripture is of any private interpretation” (2 Peter 1:20). It further declares that “all scripture is given by inspiration of God, and is profitable for doctrine, for reproof, for correction, for instruction in righteousness” (2 Timothy 3:16). There’s no instruction here to resort first to any “symbolic and spiritual interpretation techniques used by the ancient fathers of the church”! Those “interpretation techniques” as applied over the centuries have led to many contradictory interpretations of Scripture, even within Roman Catholicism. But Jesus Christ plainly said “the scripture cannot be broken” (John 10:35). The Bible does not contradict itself! It is not for the pope, it is not for any of his priests, it is not for man at all to interpret the Scriptures based on any particular religious ideology! There’s only one power that can unlock the plain, straightforward meaning of Scripture. That is the power of the mind of God alone, exerting His influence directly on the mind of an individual by the power of His Holy Spirit. Jesus Christ Himself, the Word of God personified, declared that when the Holy Spirit comes into the mind of an individual, it reveals all things. He called it “the Spirit of truth, [which] the world cannot receive, because it seeth [it] not, neither knoweth [it]” (John 14:17). Christ called the Holy Spirit the “Comforter” (John 16:7). It is a revelatory Spirit, the Spirit of truth—actually a portion of God’s own supreme intellect embedded in the mind of a converted Christian. Christ declared that when it is given by the Father to a servant of God, it “will guide you into all truth … and [it] will shew you things to come” (verse 13). It is thus the living Jesus Christ, the true Head of His one true Church, who opens up the Word of God to us by the power of God’s Holy Spirit! Yes it takes dedicated study to grow in understanding the Bible (2 Timothy 2:15; Isaiah 28:10, 13). But, in reality, the Bible interprets itself! Why do men insist on trying to interpret the Bible? The Scriptures are profitable for the purpose of reproving and correcting us. But we resent being reproved and corrected. How many people do you know who are even willing to be corrected where they are in error—to be reproved for the wrong things they do?People do not like to be reproved and corrected. They love praise and flattery. But reproof and correction they surely hate.That’s why it is so hard for so many people to understand the Bible and to agree on just what it says. The Bible is God’s great spiritual mirror. It shows up every flaw in our thinking and reveals every spot on our characters. It pictures us as we really are—as God sees us, not as we like to think we are or to have other men look upon us. That’s the plain and simple truth. “For the word of God,” we read in Hebrews 4:12, “is quick, and powerful, and sharper than any twoedged sword”—it cuts deep, both ways—“and is a discerner of the thoughts and intents of the heart.” Yes, it opens up and lays bare the inner man.Too often men have applied some different meaning to the scriptures that reproved them. They have passed right over some scriptures that corrected and rebuked them. Instead they studied diligently to find some other scripture into which they could read a meaning that would justify their course of action.That is how men began, centuries ago, to interpret the Bible. And so God’s Word has become perverted, twisted, wrested, distorted. And almost every false and counterfeit meaning imaginable is read into it instead of seeing the natural meaning—the plain, simple meaning God intended.Today we have hundreds of interpretations of the Bible. But you never hear of hundreds of interpretations of a biology textbook. Why? Because biology textbooks do not rebuke and correct men.Instead of acknowledging the truth, repenting of the sin, having it legally justified by the blood of Christ, men seek to justify their own acts by perverting the sacred and holy Word of God. As Melanie Phillips recently mused, the Vatican today, under this pope, may be taking “a giant step backwards into a darker age”—an age when the Vatican dictated that the Roman Catholic Church alone was the sole authority for interpretation of the Bible! Could it be that this pope is in reality seeking to hide what inerrant Scripture reveals as to the true nature of the religious body he leads, its true beginnings, and its prophesied end? Hide the truth by insisting on the application of the interpretation techniques imposed by the “ancient fathers of the church” and thus interpreting, or rather wresting, the Scriptures to suit the whim and the will of the Vatican? (2 Peter 3:16). You need to allow the Bible to interpret itself on this burning question and all others. Read our booklet Daniel—Unsealed at Last! for insight into, and for the biblical answers to, this question.